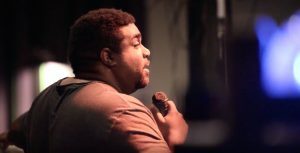 Steven Howard—a 23-year-old youth pastor from Amarillo, TX—was facing a challenge that even veteran youth pastors would find difficult. His small student ministry started the summer by graduating nine students out of the youth group, leaving Steven with a small flock and lots of uncertainty. When a chance to go to Lead THE Cause (LTC) in Denver came up, Steven was intrigued but wasn’t sure whether or not it would be worth it. Only two of Steven’s students were potentially able to go—a friendly, energetic girl named Stormie and a popular varsity football player named Mateo. 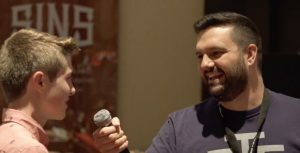 “We knew that God would provide, but LTC was kind of a scary thing because we were taking two random kids, investing time, money, and effort and going all the way to Denver,” he said. But after some prayer and planning, the tiny Texas group took a risk and made the trek to Denver, trusting God for the outcome of a week at LTC. Little did they know that God had a huge plan for their small group, a plan to use LTC to turn them into a powerhouse of gospel advancement before the end of the summer. 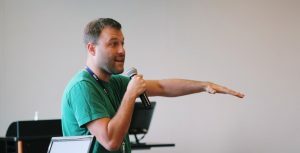 During the first few days at LTC, students were trained to navigate gospel conversations, passionately pray for the lost, and cultivate a true Gospel Advancing Ministry. 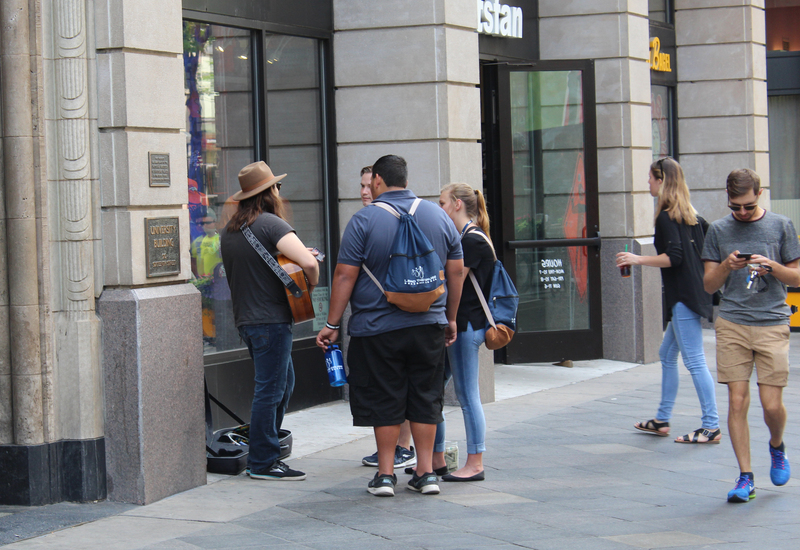 Then came the outreach time where that training was put to the test on the streets of Denver. For Stormie and Mateo, the first day of sharing their faith with strangers brought a steady stream of rejection and discouragement, making the next day even more nerve-racking. 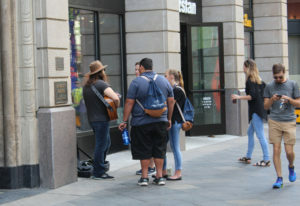 Steven Howard with his students Stormie and Mateo have a gospel conversation with a street musician in Denver. Learning to “fail properly” helped build Stormie and Mateo’s boldness and endurance as they kept witnessing to strangers during LTC. And then a major shift began to happen. 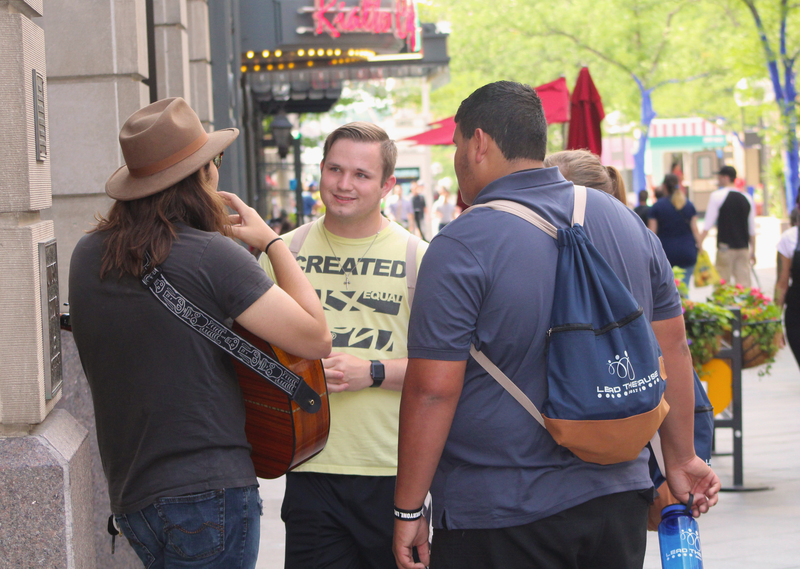 Stormie and Mateo had successfully learned how to share the gospel, but their defining moment came when they were hit with the why of evangelism at the end of the week. The final session of LTC was on a rainy night at a park in the Rocky Mountains. Greg Stier gave a powerful message of what an unsaved friend would say if they wrote you a Letter from Hell. “It got really real. Honestly, I think that’s what teenagers need,” said Steven. “They’ve heard the sugar-coated story about all the sweet parts of God, but they’ve never heard the sad part about it. Oftentimes when students come home from a week at camp or a mission trip, they ride a “spiritual high” that lasts for a while but then fades as normal life sets back in. 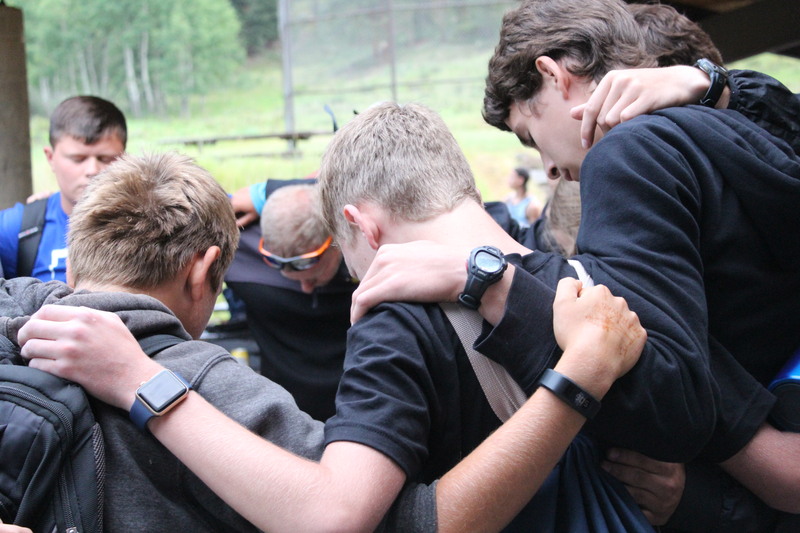 Students learned to passionately pray for the lost and for each other while at LTC. But not for Stormie and Mateo. They came back from LTC energized to share the gospel with their lost friends, and that passion has only grown with time. Now, their once small youth group is getting bigger and stronger by the week. Steven said the spark from LTC has spread to the other kids in his youth group, and they’re all beginning to reach their friends with the gospel. Steven doesn’t want the ministry’s growth to stop there, though. “I’m praying for the number 100!” he said. It’s not all about numbers, though, and Steven says his youth group is now defined by intercessory prayer, pursuing people with genuine love and compassion, and celebrating what God is doing in their midst. A week at LTC can transform hearts, minds, and ministries, aligning them with Jesus’s call to make and multiply disciples. And Steven can testify that the reward was more than worth the risk. Are you interested in taking your youth group to Lead THE Cause next year? Sign up for details, updates, and deadlines for LTC 2018.